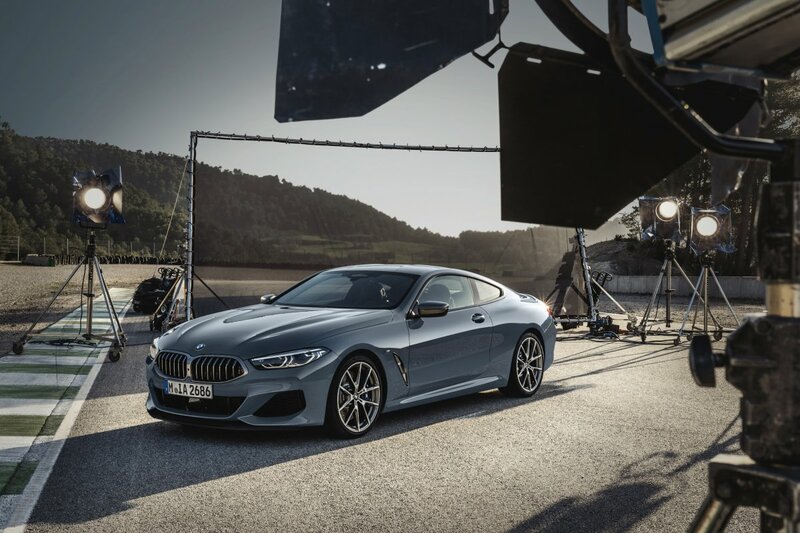 After a string of concept teasers and spy photos, BMW has officially taken the wraps off the flagship 8 Series Coupe. 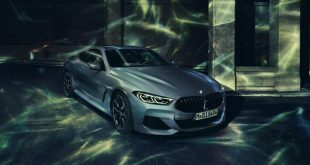 Staying faithful to the concept unveiled last year, the successor to the 6 Series boasts a sleek new design with modern sporting appeal, beautifully blended with an air of exclusiveness and sensual allure. 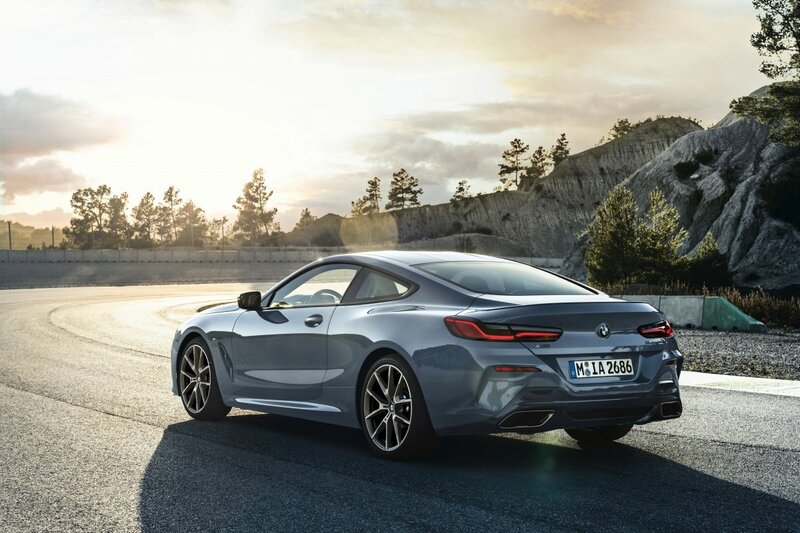 The car’s low-slung design, an elongated silhouette with a slim window and a flowing roofline, a long wheelbase and a wide track are the defining elements of the 8 Series Coupe’s proportions. 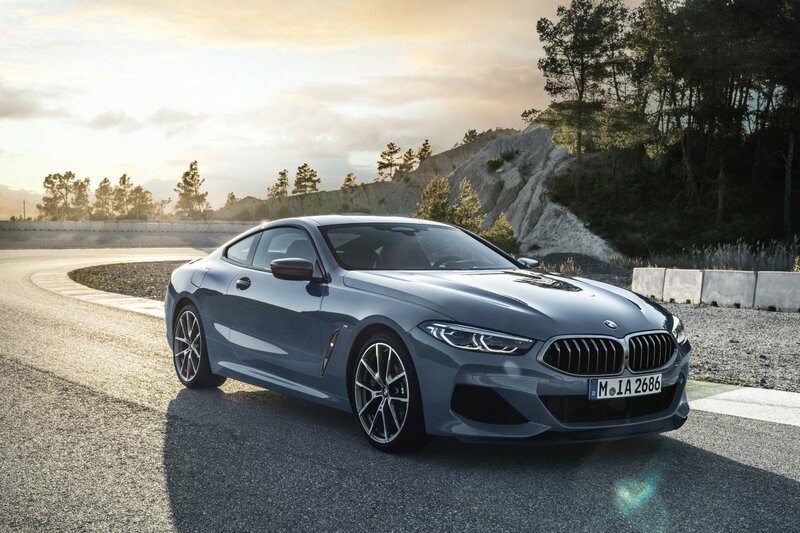 With a hunkered down exterior dimensions of 4,843 mm in length, 1,902 mm in width, 1,341 mm in height and a wheelbase of 2,822 mm, the two-door grand tourer adopts a powerful stance on the road. 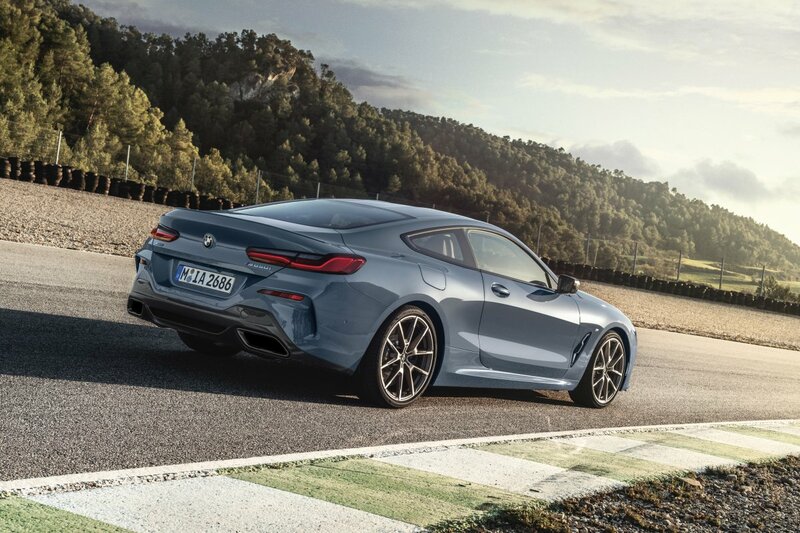 It’s claimed that an almost fully sealed underbody, active air flap control and Air Curtains including Air Breathers help to reduce the aerodynamic drag of the new 8 Series Coupe’s streamlined body. 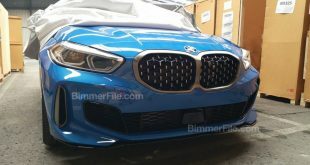 Narrow exterior mirror bases are also said to help smooth the airflow. 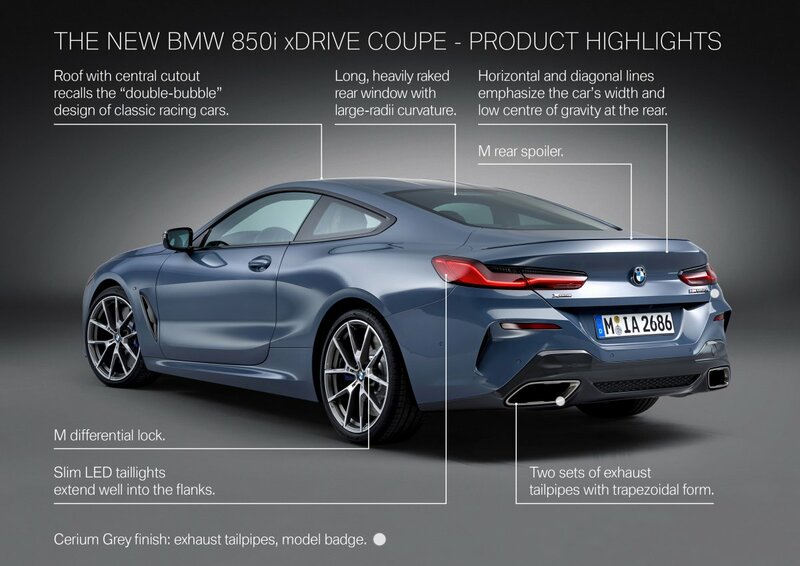 On the BMW M850i xDrive Coupe, an additional front spoiler further minimises lift at the front axle at high speeds. 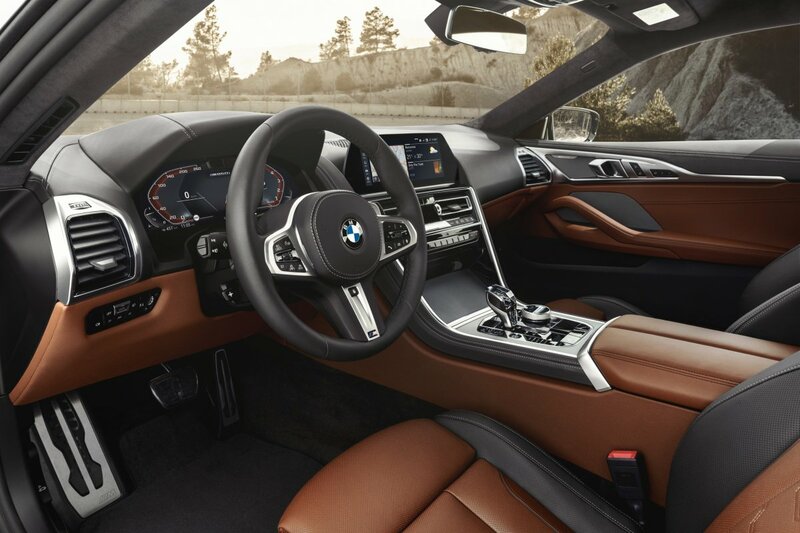 The modern and minimalistic exterior design language is continued inside the new BMW 8 Series Coupe, creating a relaxingly luxurious ambience. 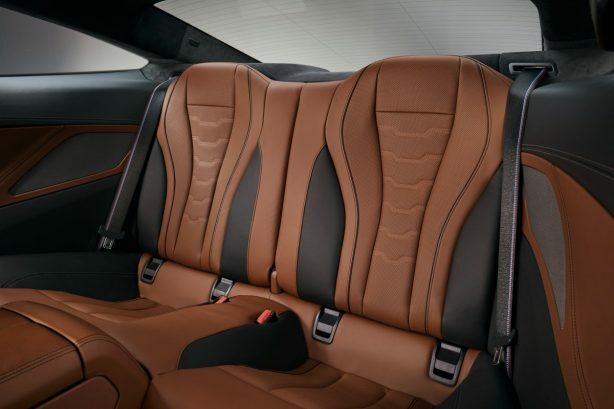 The newly developed sports seats are upholstered as standard in Vernasca leather. 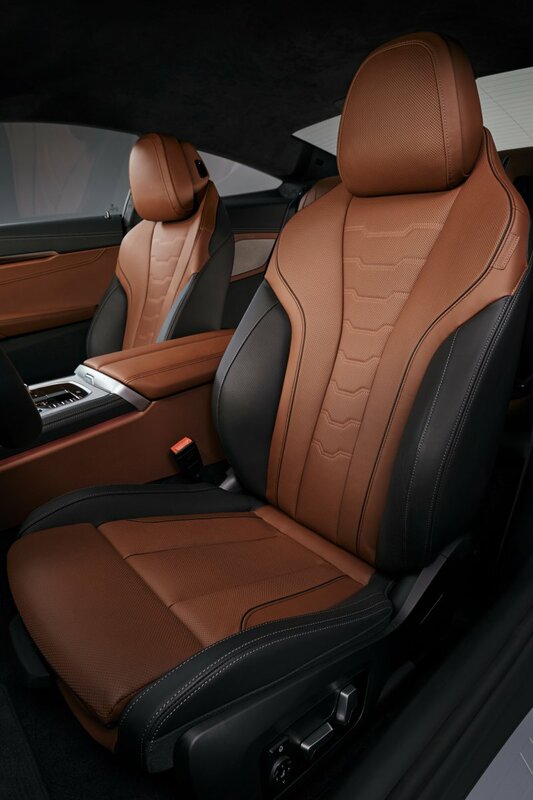 The fulled leather trim for the door shoulders and instrument panel is also standard. The rear backrest can be split 50:50 as standard and folded down to increase the capacity of the 420-litre luggage compartment. 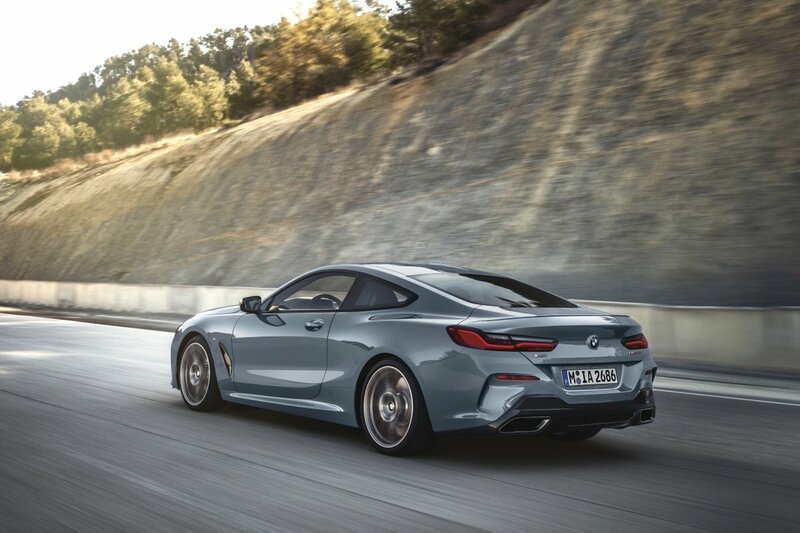 The luxurious character of the new BMW 8 Series Coupe can be further enhanced by a number of top-quality optional extras. 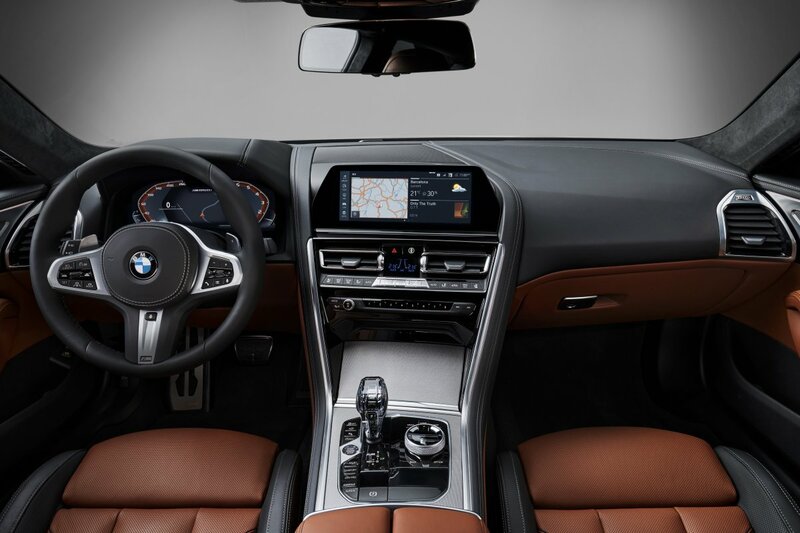 The range includes the BMW Display Key, telephony with wireless charging, climate seats, the Bowers & Wilkins Diamond Surround Sound System, as well as glass applications for selected controls. 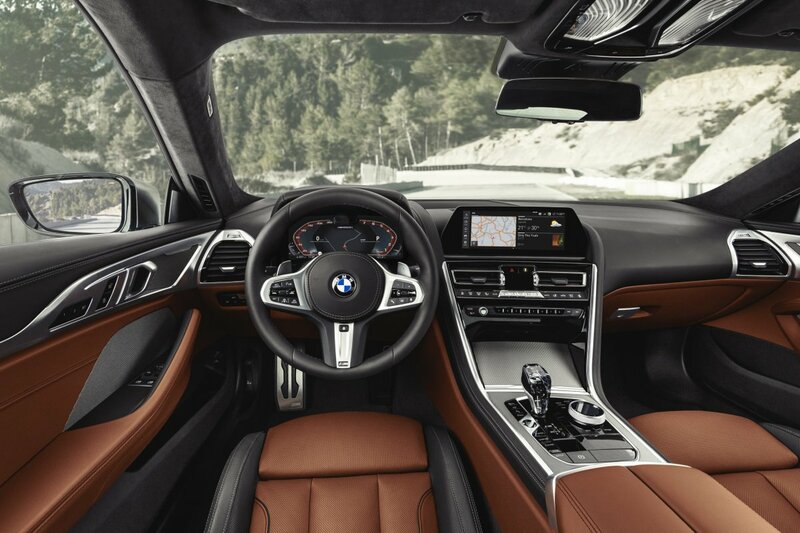 Moreover, there is a choice of model- specific options from BMW Individual. 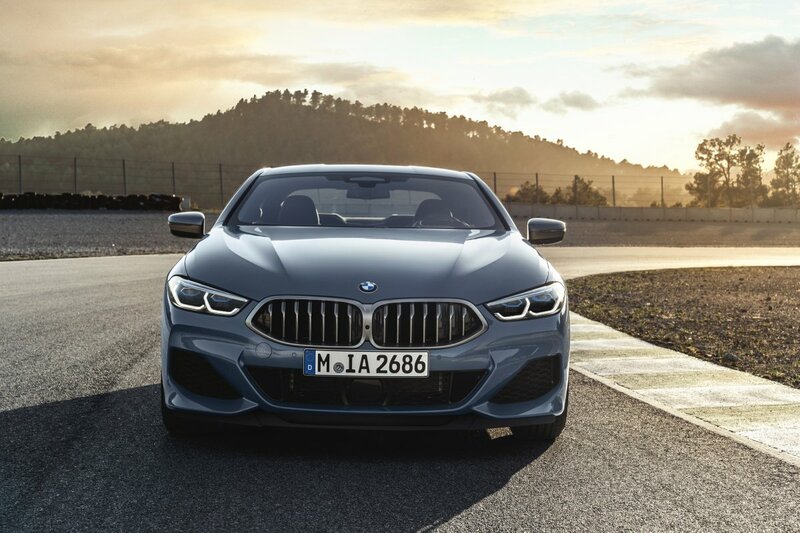 At launch, the new 8 Series is available with a petrol and a diesel powerplant, both paired to BMW’s xDrive rear-biased all-wheel drive system and 8-speed automatic transmission. 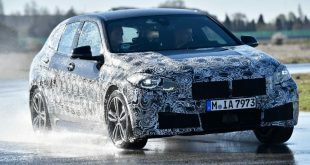 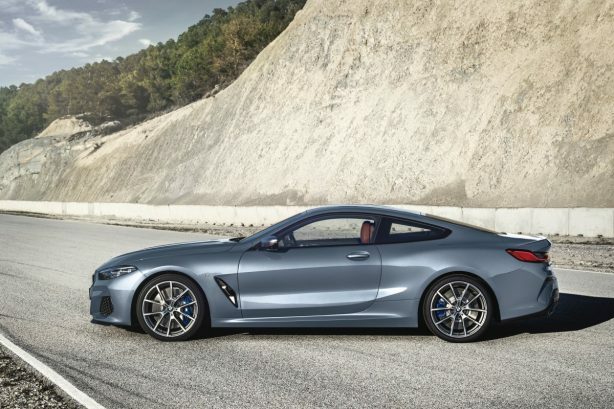 A new V8 power unit is making its debut in the BMW M850i xDrive Coupe. 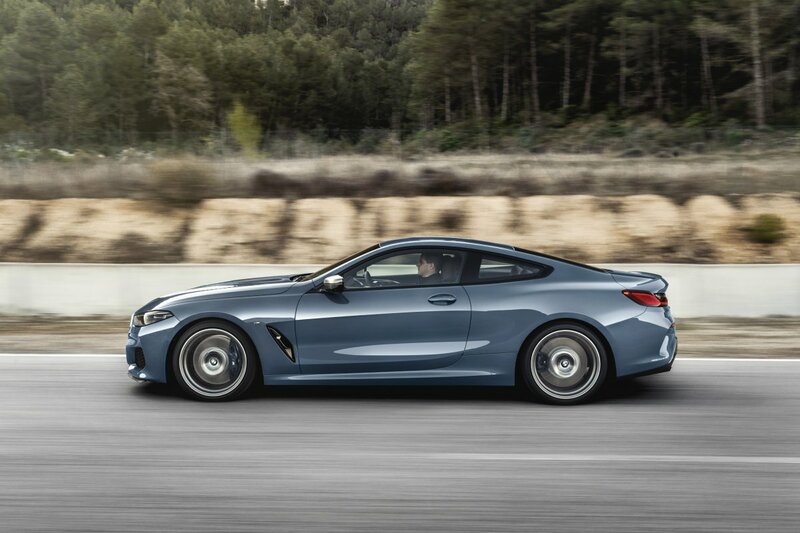 The twin-turbo 4.4-litre engine features turbochargers located within the V-shaped space between the cylinder banks for a more compact design and improved thermal efficiency. 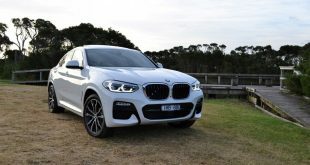 Thanks to a 50 kW/68 hp increase in output with no impact on weight compared to the engine it replaces, the new V8 is now able to generate 390 kW/530 hp, which is on tap between 5,500 and 6,000 rpm. 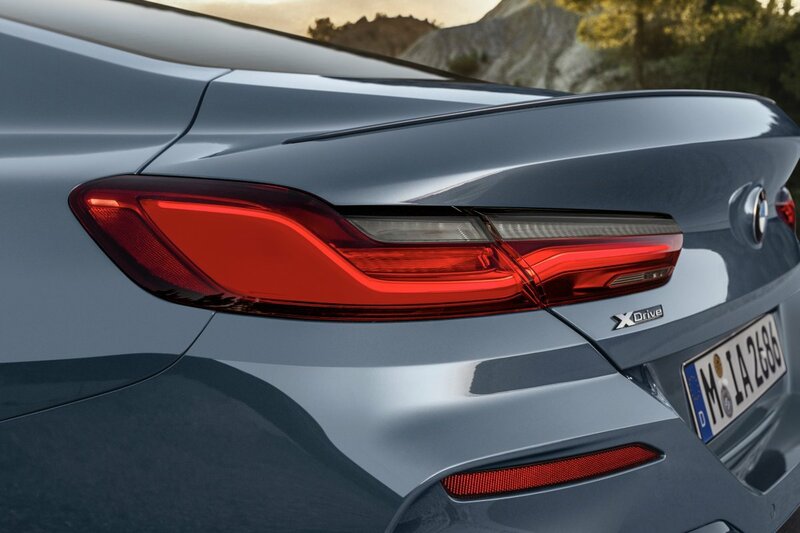 Maximum torque of 750 Nm (553 lb-ft) is available over a wide rev range from 1,800 to 4,600 rpm for prolonged forward thrust. 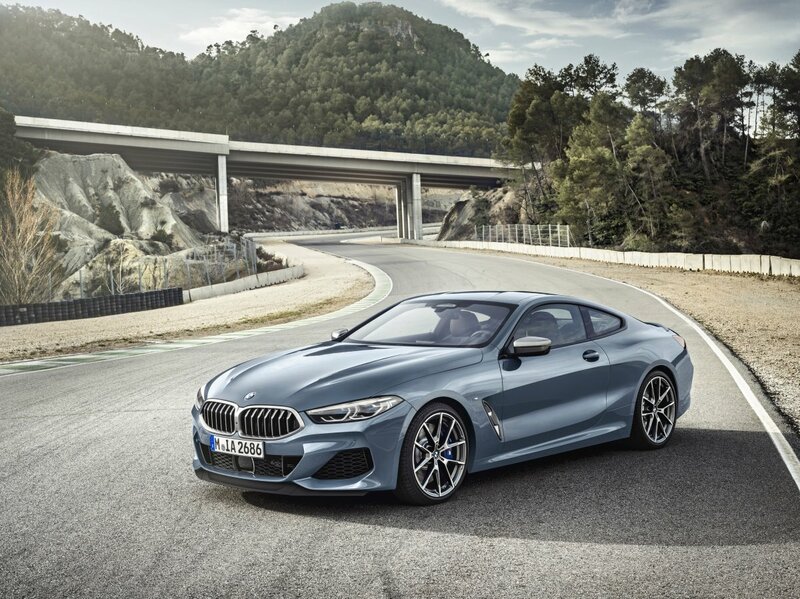 The new BMW M850i xDrive Coupe accelerates from 0 to 100 km/h (62 mph) in just 3.7 seconds. 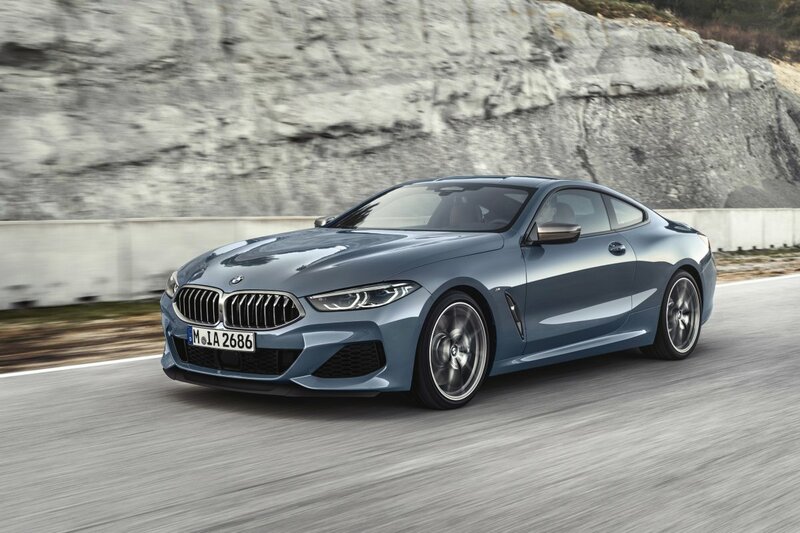 The new BMW 840d xDrive Coupe is powered by the turbocharged 3.0-litre six-cylinder in-line diesel unit that delivers a maximum output of 235 kW/320 hp and peak torque of 680 Nm (501 lb-ft), which is available from just 1,750 rpm. 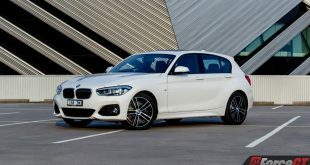 The engine employs multi-stage turbocharging technology and its performance characteristics permit relaxed cruising at low engine speeds, while also enabling the car to sprint to 100 km/h (62 mph) from rest in only 4.9 seconds. Standard equipment for the new BMW 8 Series Coupe includes the Adaptive M suspension with electronically controlled dampers. 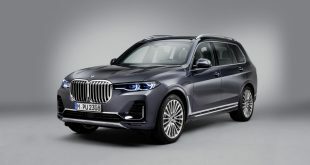 Integral Active Steering is also standard; it reduces the turning circle when manoeuvring, increases agility and makes changing lanes or taking corners at high speeds even more effortless. 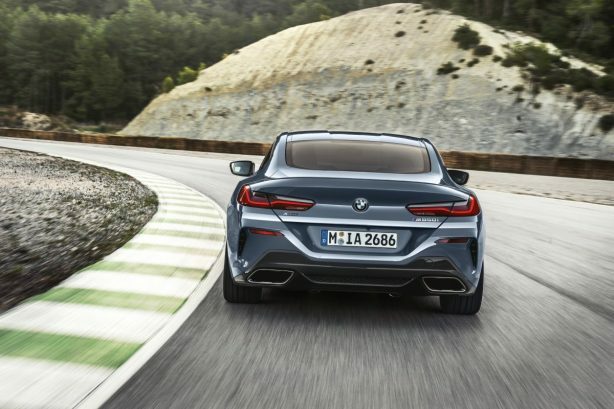 The optional active roll stabilisation feature for the new BMW M850i xDrive Coupe endows the car with even sportier handling characteristics by accurate compensation of body roll during high-speed cornering. 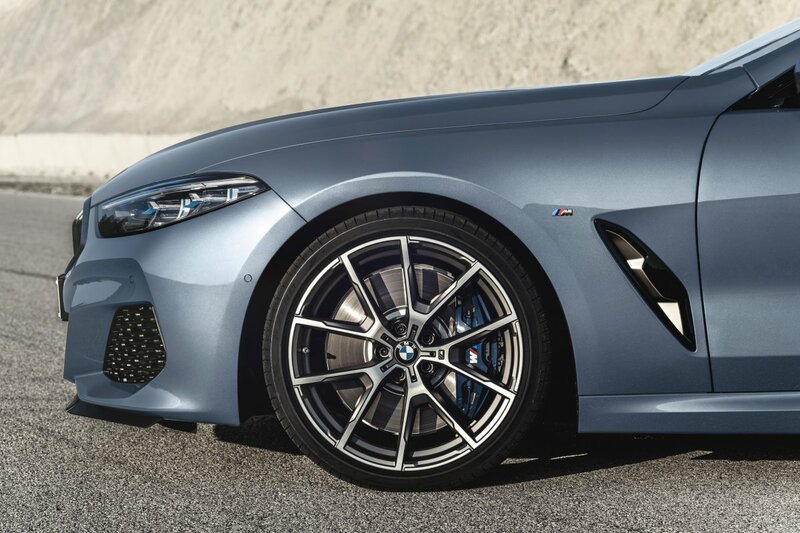 The standard specification for the M850i xDrive Coupe also includes powerful M Sport brakes along with 20-inch M light-alloy wheels with high-performance tyres. 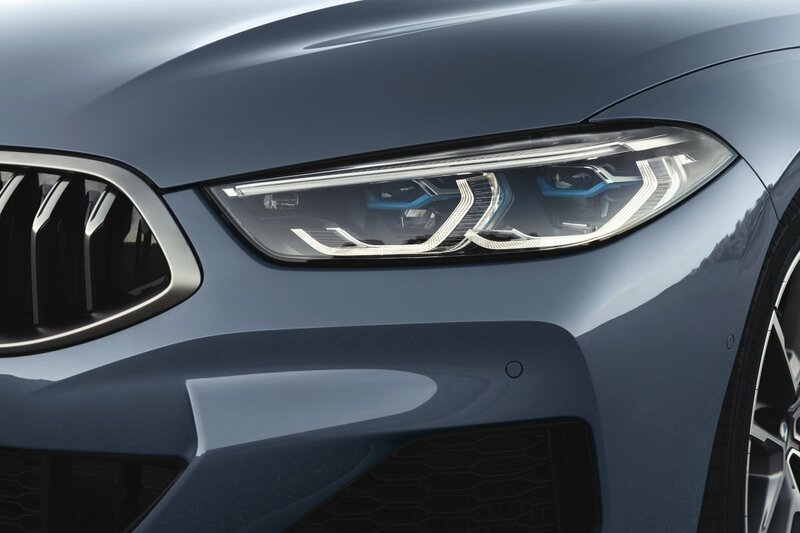 This M Performance model is also instantly recognisable by its exclusive exterior appointments in Cerium Grey, an M rear spoiler and illuminated door sills bearing the model name. 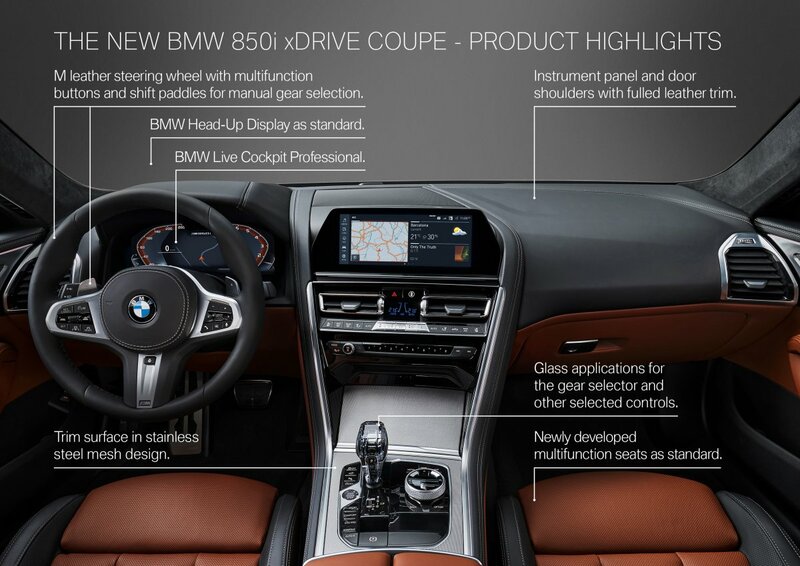 These are complemented by equipment features that also form part of the M Sport package available for the new 840d xDrive Coupe, including multifunction seats, M leather steering wheel and interior trim strips in a stainless steel mesh design. 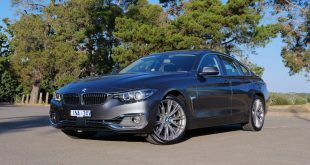 The M Sport package additionally comprises 19-inch M light-alloy wheels, M Sport brakes and illuminated door sills with M logo. 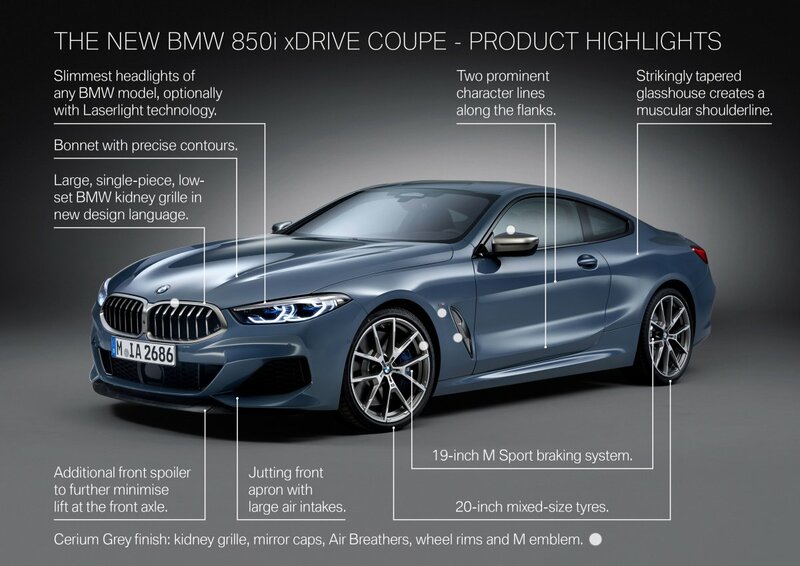 The M Technic Sport Package is available as a further option for the 840d xDrive Coupe and adds, among other things, 20-inch M light-alloy wheels with high-performance tyres, an even more powerful M Sport braking system, the electronically controlled differential lock, the M rear spoiler and extended BMW Individual high-gloss Shadow Line trim. The 2019 BMW 8 Series goes on sale in Europe this November, with Australia launch expected in early 2019.